The CHRISTUS Spohn Hospital Corpus Christi – Shoreline campus will be transformed into a comprehensive facility through the consolidation of specialized medical care, inpatient services, the Level II Trauma Center, the Family Practice Medicine Residency Program, and the Emergency Medicine Residency Program. The patient-centered hospital will serve as the major referral center for the Coastal Bend. The physical hospital spaces to be modernized, renovated and expanded at Shoreline will be designed with the patient, family and providers as key stakeholders, in addition to the latest industry recommendations. Among these plans are elements for improving clinical outcomes, environmental functionality, and operational efficiency. An important benefit of these improvements is the ability to attract and retain top healthcare professionals. 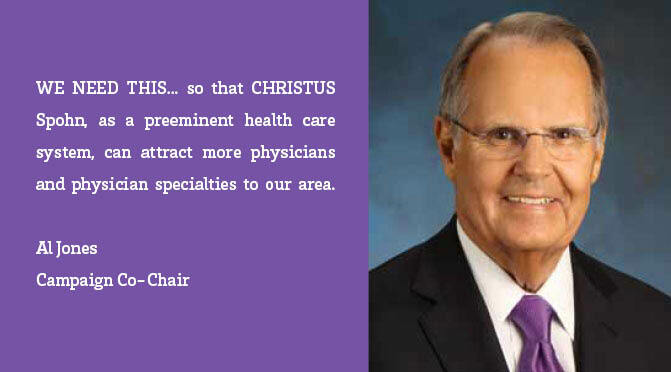 Having better equipment and an overall superior work environment, plus expanded primary care access for patients, will be important recruiting features for CHRISTUS Spohn. Working at just one inpatient hospital where tertiary and specialized inpatient and trauma level care are provided will give doctors more time with each patient. To accommodate the extraordinary increase in demand seen during the past five years, the Level II Trauma Center will expand and include larger trauma bays, an accessible ambulance entrance, patient privacy features and advanced technologies. 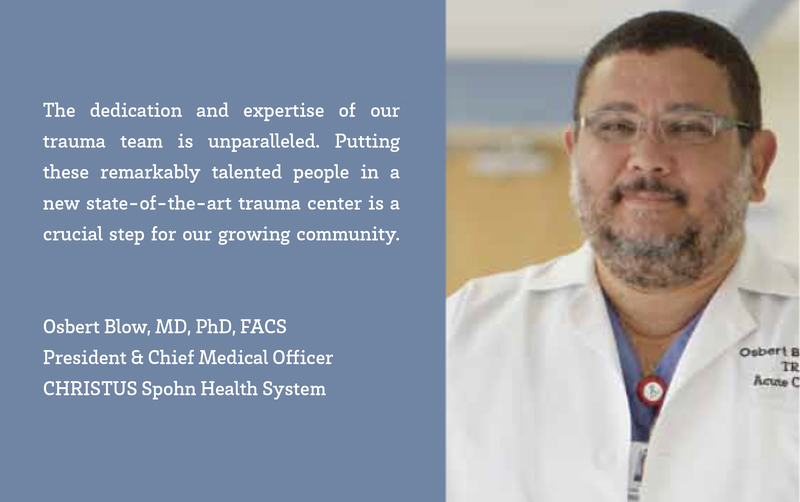 The Family Practice Physician Residency and Emergency Medicine Physician Residency Programs at Shoreline will offer medical residents access to training of all types, an advanced simulation lab and the focused attention of our experienced faculty. To make a donation toward Our PATH Forward click the Donate button below!